It is quite common for kids, teens and younger, to have their own cell phones these days. With these new privileges there also should be some new rules laid down by the parents. Here’s a few that they might consider. Pause the thumbs – When someone speaks to you while you’re texting, it is appropriate to pause your thumbs and quit texting long enough to look the person in the face and give them your attention. Texting isn’t like verbal communication. You won’t have to worry about forgetting what you were saying. It will still be sitting there in mid-sentence when you go back to it. Surrender them at bedtime – Most kids have a hard enough time getting enough sleep without having the temptation of communicating with their friends all night long via their cell phone. Make it easy for them, and collect the phones before bedtime. No loaning your phone – Kids are always asking to borrow each other’s things. 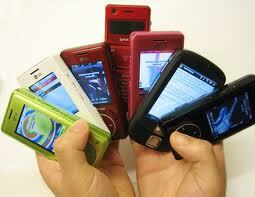 A cell phone can be expensive to replace and it can also gain extra charges from overuse. No loaning out your phone to your friends. No phones at the table – If the phone is there, they’re likely to be using it in some way. If your family tries to make mealtime, family time, keep the phones away from the dining room. No phone until after homework – “It’ll only take a minute.” Those are words often heard from the mouths of teenagers. Thirty minutes later, you’ll be reminding them to hang up. The homework will take ten times as long if they have their cell phone on the table next to them. No embarrassing photos – Photos of your siblings half-naked are not to be taken with your cell phone and sent to all your friends. Responsible use of the camera function should be required. No texting in church – Many churches give this gentle reminder as their services start via the overhead screen. As a parent, you should be setting it as a ground rule before they arrive at the service. No phones on family night – If you’ve tried to create an evening during the week for your family to spend time together. Cell phones are bound to work against your goal. Parents and kids should turn them off. Battery charging is up to them – Cell phones are a good opportunity for kids to learn personal responsibility. Make them responsible for keeping the battery charged. The consequences of not following through are immediate and directly correlated to their actions. Drive with both hands – Obviously, this isn’t just for kids, but teen drivers are especially susceptible to distraction. Tell them to keep their cell phone out of reach or turned off when they are in the driver’s seat. Absolutely, NO talking or texting on your cell while behind the wheel. You may agree with all or some of these, regardless, as a parent you should definitely take the initiative to set some ground rules for the proper use of your child’s cell phone. Is your teenager the problem? Hmmm, well, this is a bold and common statement I hear quite frequently so when a new friend/colleague mentioned she has a book coming out this spring with this title, I was intrigued. After all, as a parent that struggled with a teen that was less than perfect, and liked to convince me that “I” was the problem, this book just may go flying off the shelves. 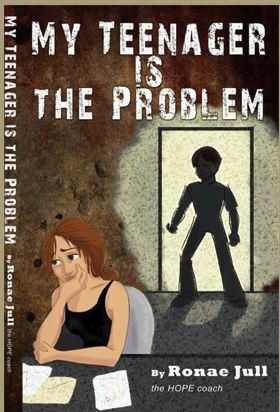 “My Teenager Is The Problem” is written by Ronae Jull, the Hope Coach. A bit about this new book…..
Do you struggle with that one family member who constantly challenges your serenity, twists your stomach into knots and keeps you up at night, questioning your sanity? If that family member is your teenager, you’re not alone. Teenagers can cause feelings of anger, incompetence, and helplessness in even the most confident parents. Regardless of how successful your professional life, your home keeping skills, or your other relationships,parenting a teen can challenge your resolve to remain calm and mindful when dealing with him or her. Maybe you’ve come to feel that you shouldn’t have become a parent, you can’t do anything right, and that your teen may not make it to his or her adult years in one piece. Order My Teenager IS the Problem! today and recapture peace and sanity for you and your family. The book — authored by The HOPE Coach, Ronae Jull — provides specific step-by-step strategies, guaranteed to save your teen and renew your peace-of-mind. For more information on Ronae Jull and her services, visit her website at www.RonaeJull.com. You can follow Ronae Jull on Twitter and join her on Facebook! As a Parent Advocate and Author of a parenting book on residential therapy, Parent Coaching can be an avenue a family can use prior taking the step into residential therapy. Cell phones and our teens: Have you set limits on their cell phones? Does your child really need a cell phone? 84% of teens have cell phones today – but do their parents set boundaries? 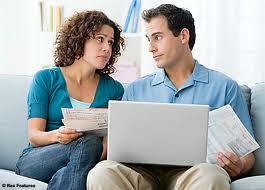 Plans Change- This more beneficial for you more than your child. If soccer practice ends early this is a great way for your child to get a hold of you and let you know. Save Money-Chances are you and your spouse have cell phones and most of the time you can lower your cell phone bill if you add an additional phone. This can be a way for you to cut costs on your monthly bill, by adding a line for your child. Responsibility-What is a better way to start teaching your child about responsibilities, handing them over a cell phone. They will learn the value of owning expensive property and their duties in owning it. Safety-There have been a few stories around the country about strangers getting scared off by the fact the child had a phone and was trying to take their picture. Not only is it a good device to possibly ward of predators but if something were to happen on the way home from school, like an injury your child has the ability to call you immediately. Tracking- Most cell phones now come with a GPS tracker in the phone. You are able to view where your child is specifically. Or if your child loses the phone or it is stolen, this is a great feature to find it! 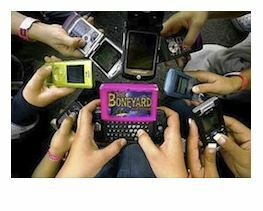 Texting- Your young child has no reason to have a cell phone to text fellow classmates or friends. There are plenty of court cases and news articles you can read right now about the ‘trend’ of sexting. Your child may be not partaking in sexting but keep in mind you can’t control what is sent to them and what they could possibly read or see. School- Schools do not allow students to have their cell phones on during school and some schools do not even allow cell phones on campus. If your child says they want it for school, keep in mind they will not be able to use it until school is closed. Late Night- Didn’t your mother tells you nothing good comes after midnight? This old adage stands true today. If your child has a cell phone in his or her room, that leaves them with the ability to call, text, surf whatever and whomever they want. This could be a potential problem when you are not able to monitor what is happening. For the most part cell phones are a great idea for your children, however be aware of the possible dangers and trouble they could cause. There are companies that make cell phone for kids, where they have GPS trackers, the inability to text and the function to only make calls to mom or dad and no one else. Talk to your child about the responsibility’s that with the phone and give them a trial run, you may be surprised of the outcome. Teenagers are no different than adults, they want to find love and find that relationship that they believe can fill their lives. As summer is here, school is out and teens are looking forward to their time off. Whether they are traveling with their family or off to summer camp, most will be meeting new people and building new relationships. Love is the most influential, powerful state of being that any of us will ever encounter or experience in the course of our lives. 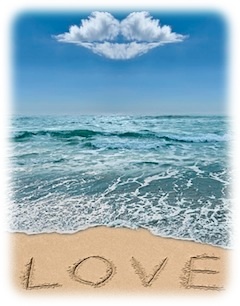 It is beyond emotion, as it encompasses and affects all levels of our actions, thoughts, inspirations and aspirations. To be devoid of love is to be absent of life. The elements of love are intertwined and dependent upon one another; and, in most instances, are realized upon reciprocity. Any deficiency of these elements, or ‘links’, would therefore compromise the ‘chain’ that binds and holds each component together, and love will suffer. Trust – This may be considered the most challenging element of love. You grant another person the right to hold your life, your emotions in their hands. You don’t question their intention as you firmly believe and confirm that they will not do you harm and, instead, will flourish with such privilege. Honesty – There is no true love relationship that may occur without honesty. While certain truths may be painful to expose and share at times, the act and willingness to put truth above self-preservation is a constant testimony to that attests to the claim of love. Tolerance – We are all predisposed to idiosyncrasies and quirks inherent in our personalities; and, in general, these are very good things. Oftentimes, however, such things may go across the grain of those closest to you. Tolerance permits these differences in actions or thoughts and accepts the them in the other’s composition as part of who they are, and not an affront to who they are. Forgiveness -It is impossible to embrace another so closely without, at some time, hurting or disappointing them in some way. Forgiveness is the power and strength the ‘victim’ renders that indicates that the relationship is more important than the injury they feel has been done to them. Kindness -As simple as this may appear, it is the food that helps a relationship to grow. Kindness acknowledges a unique awareness of the other person. It demonstrates gratitude and sensitivity in the relationship. Security -While often difficult to foster and maintain in a relationship, security is closely related to trust. When you are secure in the relationship, envy and jealousy are less likely to raise their ugly heads. Security dismisses the notion that a partner may hold something or someone else in higher regard or interest. Understanding/Compassion -It’s important to achieve an understanding of the motivations and values of your partner. True understanding and compassion recognizes that both the strengths, and weaknesses of another, equally comprise the total makeup of who they are. Commitment -While some may see this is as a form of personal sacrifice, it is really quite the opposite. To be dedicated to the wants, needs and aspirations of your partner is truly noble and selfless. With commitment, your focus is on striving, to the best of your ability, to encourage anything that will bring prosperity and happiness to the other; and to do so without self-interest. Respect -It’s important to avoid anything that would hinder the growth of the partner and, subsequently, the success of the relationship. This is achieved by showing respect for the partner and the relationship, at all times. Desire–This would be considered the delicate thread that weaves through all those elements listed above. Without the passionate desire to meld with another, the concept of love would certainly be an exercise in futility. As the title states, these are the ten words that describe love to me. You may have a different list, but it was a good exercise for me. Sometimes it helps just to think through what we really mean, when we use a word like ‘love’. Wilderness Programs: Are They for Your Teen? What is a “Wilderness Program?” If you are a parent that is struggling with a teenager that is out-of-control, you will surf the Internet and attempt to find help. Many parents first think of boot camps as a resolution – a way to teach our teen a lesson. Then you realize that maybe that is not the best avenue and you are somehow directed to wilderness programs. Not always, but especially if you have hired an Educational Consultant, their first recommendation is commonly Wilderness programs. However, a residential therapy program can do the same thing, since many are not designed by Hilton (TM). Have you also thought about this: Your teen is already broken down, why do we need to continue to break him/her down? Let’s look at the pro’s and cons. Wilderness programs can cost you up to $500.00 a day. Yes, a day. Some start as little as $250.00 a day (Yes, as little as). Now multiply that by 30 days or actually 6 weeks, since the average stay in Wilderness is 6-9 weeks. At the low end: A month in the mountains will cost you $7500.00. That is questionable to many, as well as out of the financial means of many more. Wilderness program rarely have academics. Fact is your teen is probably not focused on academics and could care less about them. Working on their emotional stability is the goal here, however it shouldn’t be an excuse to delay education. Although your child may not care about their education, you do. Wilderness programs are short term. Short term program, short term results and a lot of money. In most cases they go on to residential programs which will run you about another $5000.00 a month and up for another 10-12 months. Wouldn’t it make sense to start and finish at the same place with the same therapist and the consistency of recovery? Wilderness programs are sadly where we hear of the most deaths or accidents in teen help programs. It is true, accidents can happen in any program, however when listening to speakers in congress while attempting to pass a bill to stop abuse in residential programs, it seemed the parents that lost a child in a program were mainly in Wilderness programs. If your teen has not escalated to a point of serious concern, and is just starting to make some poor choices, maybe a 6-9 week wake-up call is all that is needed. As long as you can afford it, and remember, if they decide he/she needs more than the 6-9 weeks, you need to be prepared to go the next step. The teen is removed from their home environment. They are put in a place of isolation and maybe this is just what they need to reflect on their current negative behavior. 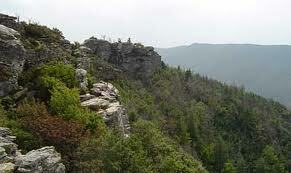 There are some excellent Wilderness programs with very good and caring staff in our country. Many teens that had a wilderness experience really feel it was very good. Many parents also believe that the Wilderness program helped their child get ready for the next step, residential therapy. Wilderness programs offer a great opportunity for your teen to live outdoors and experience outdoor therapy. With some teens this is very beneficial. This is a personal decision, and although I am not an advocate of Wilderness programs I can appreciate and respect parents that believe they need this extra step and it has worked for them. It is my philosohy that starting and finishing at the program is part of the consistency of healing. Having to switch programs and therapists (especially) and starting over, can feel like you have fallen back to ground zero. However, each family is different with different needs, so this is an individual decision. Is Wilderness right for your teen? Only you can answer that.